In recent years the political, economic and social climate in which volunteering by older adults occurs has changed significantly, with the onset of an economic downturn, concern about pensions, a change in the public policy context for volunteering following a change of government, and the abolition of default retirement age. The notion of ‘unretirement’ is being used to capture the new reality of older people. In this seminar we wish to critically explore the constraints and facilitators of volunteering amongst older people. Specifically: what constrains/enables older people to volunteer; how this impacts on organisations that rely on older volunteers; how this impacts on the social isolation of older people; and are organisations ready for what could be a considerable change in the supply and availability of older volunteers? 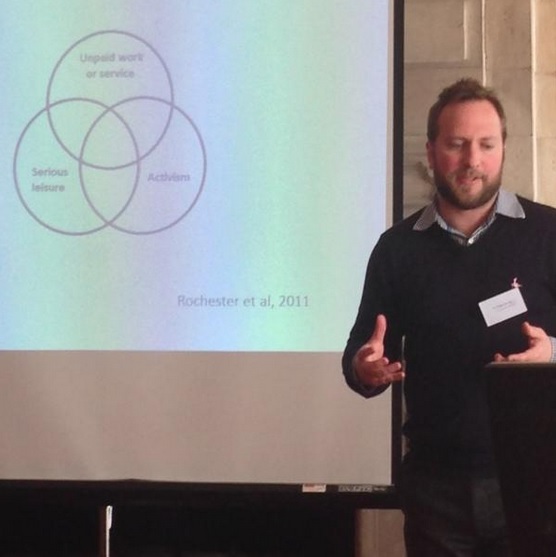 On March 17th 2015 WISERD Civil Society, Cardiff University, hosted a seminar on the impact of economic austerity on the lives of older volunteers (people aged 50+ years). It was attended by academics, policy makers and practitioners from three of the four UK jurisdictions: Wales, Northern Ireland and England. Across the three jurisdictions the policy contexts towards volunteering and the voluntary and community sector are very different, including policies to promote volunteering across all age groups. In recent years the political, economic and social climate in which volunteering by older adults occurs has changed significantly. As WISERD are just embarking on their Civil Society projects, this seminar provided a really useful and fascinating range of contributions which sparked off a number of ideas amongst those of us lucky enough to be there. Each of the presentations was informative and each raised particular issues for those of us working on the Theme of Generations, Life Course and Social Participation. Professor Maurice Stringer from Ulster University presented findings from the ‘Unlocking Potential Project’ funded by Atlantic Philanthropies he undertook with colleagues. 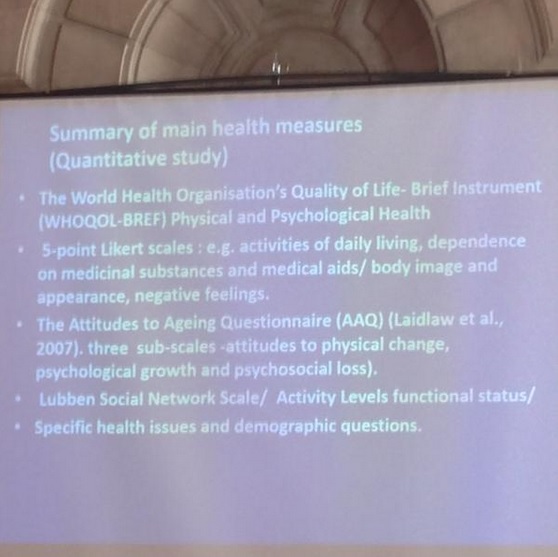 The focus of their project was the relationship between ageing and health in Northern Ireland, and he highlighted the positive impact volunteering has on the health and wellbeing of older adults. They did find that some older volunteers had less time to devote to volunteering because family members needed more help, for example, some were devoting more time to caring for grandchildren because of childcare costs. Professor Stringer’s research may have particular significance for us in Wales. Northern Ireland, like Wales, has experienced the worst effects of the recession and the smaller proportion of the working population will be supporting the retirement funds of an increasing number of older people. The data, derived from four sweeps over 5 years, highlights some of the benefits of volunteering. The respondents report a number of benefits in volunteering and the evidence suggests that it may reduce relative declines in physical and psychological health associated with ageing. For our project we are also particularly interested in the extent to which volunteers and volunteering more generally involves working across the generation. It would appear that there are some interesting undercurrents. There is some evidence from the Northern Ireland project to suggest austerity has put older people under increasing obligations to undertake childcare – other the expense of more formal volunteering activities. The second speaker, Dr Eddy Hogg from the University of Kent, drew on his PhD (an ESRC collaborative studentship with AgeUK) where he worked with older volunteers from a range of organisations to understand their volunteering journeys from a life course perspective, including how retirement can act as a ‘trigger’ or catalyst pushing people to volunteer. He concluded that the deep impacts of austerity on active older people are yet to hit, and that the ways in which older adults come to volunteer are, to some extent, austerity proof. But some organisations are changing in terms of how they work, but thus far volunteers appear to be happy to ride with the changes if they see the sense in them. In the discussion afterwards questions were raised in connection with Dr Hogg’s presentation regarding the relationship between geographic mobility and volunteering. Dr Hogg’s respondents often spoke of the significance of being embedded in their community in order to participate in volunteering. However, there is also some evidence (which will be explored more fully in the WISERD Civil Society projects) – that moving into a new area provides an incentive for newcomers to volunteers as a means to embed themselves. This is likely to be particularly marked in parts of Wales which attract ‘retirees’, such as Pembrokeshire and Ceredigion. Bryan Collis and Fiona Liddell of the Wales Council for Voluntary Action (WCVA) examined the situation in Wales, looking and supply and demand side factors, and concluded that social changes are probably greater than austerity effects. The effects of austerity on older volunteers are probably the result of changes in other areas, such as tax credits and the effects of austerity on their extended family, including children. Moreover the changes in the retirement transition can be both positive and negative, and that organisations need to adapt to changes in volunteer availability and demands. They provided a very insightful analysis of the current challenges facing volunteers and third sector organisations. They argued that demographic issues may be more significant than austerity. In particular, they highlighted a number of ‘supply side’ issues. For example, the motivations for volunteering appear to change with age. Those over 70 years old tend to volunteer from a sense of duty and a commitment to community, those in the 50-70 age range, are more interested in volunteering to take use their professional skills. The younger volunteers (30-50) appear to be less altruistic and more motivated by how volunteering may benefit their own futures. In terms of Stebbins’ typology of volunteering, older people fall into the ‘unpaid service’ category, whereas younger people tend to engage in volunteering that can be classified as ‘serious leisure’ and ‘activism’. Economic pressures are also affecting the ‘supply’ of volunteers as the pressures on free time increase as a result of having to work longer to augment pensions and caring responsibilities. Given the high incidence of ‘grandparenting’ in Wales this is something which may be particularly significant for our research. The afternoon finished with Rebecca Stewart’s presentation on volunteer ‘enablers’. Rebecca is the Head of Volunteering at Age UK, whose work is supported by 75,000 volunteers. Rebecca focused on a Grundtvig Learning Partnership project to engage people aged over 75 years. The key messages from this project is that the environment in which the volunteering takes place may need to change, including the management of volunteers; more flexible opportunities and with a local focus, and this will improve retention rates. 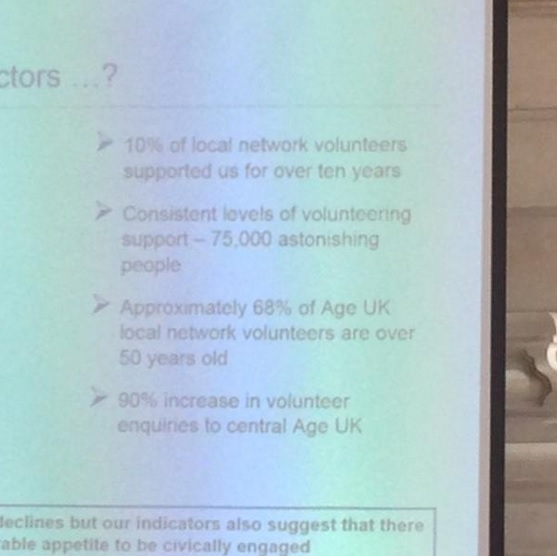 Using data from the Cabinet Office Community Life survey, she indicated that in while in England there were high levels of volunteering (involving 50% of population), levels have dropped in the last with years. She argued that the voluntary sector may need to change its approach from developing activities that suit organisations to those which match the needs of its volunteer ‘customers’. Unfortunately, the Community Life survey does not include Wales, but hopefully the primary data that we collect we throw light on some of these issues. I was really struck by three aspects of the discussion: firstly what exactly is the impact of austerity on volunteers and the voluntary and community sector, and how austerity is being felt across the three jurisdictions. We concluded that for older people who volunteer austerity has several dimensions, and we haven’t seen the full scale of impacts yet, these are likely to become manifest now the general election is over. The impacts on older people thus far have largely been indirect and felt by extended family members, but may reduce the capacity of older adults to volunteer as they need to devote more time caring for relatives (grandchildren, parents). The general funding changes in the sector with the move from grants to commissioning prioritises the unpaid work model of volunteering, with the trend to ‘professionalise’ volunteering. As a result some organisations are changing in terms of how they work with volunteering is becoming more ‘work-like’. The environment in which volunteering takes place is vitally important for volunteer retention, and in order to provide attractive, flexible, volunteering roles and opportunities for people of any age (and perhaps especially older people) investment will be needed in volunteer management and volunteer infrastructures. Finally older adults include people over 50 years of age; they are not one generation, indeed include up to three generations. The lives of the baby boomers have been shaped by the post war Welfare State, more women baby boomers have maintained a deeper commitment to paid work than previous generations; and if professional, these baby boomers are likely to have a more generous pension. Therefore for older adults volunteering can have many meanings, and fulfill different roles, and these need to be recognised and accommodated by the sector. This was the third of six new seminars exploring volunteering at different stages of people’s lives and saw a range of presentations from academics and organisations involving and supporting volunteers. The series is being co-organised by the Economic and Social Research Council (ESRC) Institute of Volunteering Research (IVR) and Northumbria University. Professor Irene Hardill FAcSS is Professor of Public Policy and Director of the Northumbria Centre for Citizenship and Civil Society, Northumbria University. She has a particular expertise in volunteering and the voluntary and community sector, demography and ageing, and knowledge exchange and user engagement. 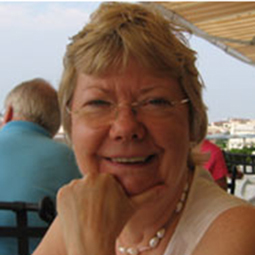 Her recent books include Enterprising Care: Unpaid voluntary action in the 21st century for Policy Press with Professor Sue Baines (MMU, UK) and Knowledge Mobilisation and the Social Sciences: Research impact and engagement for Routledge with Professor Jon Bannister (MMU, UK). 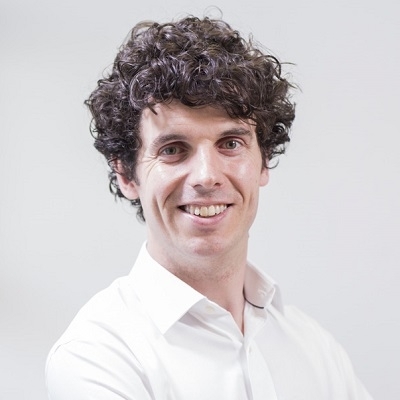 Nick Ockenden is the Head of Research at the National Council for Voluntary Organisations (NCVO), where he leads a team of 12 researchers. The NCVO research team includes the Institute for Volunteering Research, a world-class agency on volunteering which has undertaken hundreds of evaluations and impact assessments of volunteering programmes since it was established in 1997, within the UK and globally. His team also produces key outputs such as the annual UK Civil Society Almanac, the most comprehensive source of data and analysis on trends and characteristics of the sector. Nick’s particular research interests are focused on volunteering within small, community-based organisations and environmental and conservation volunteering. 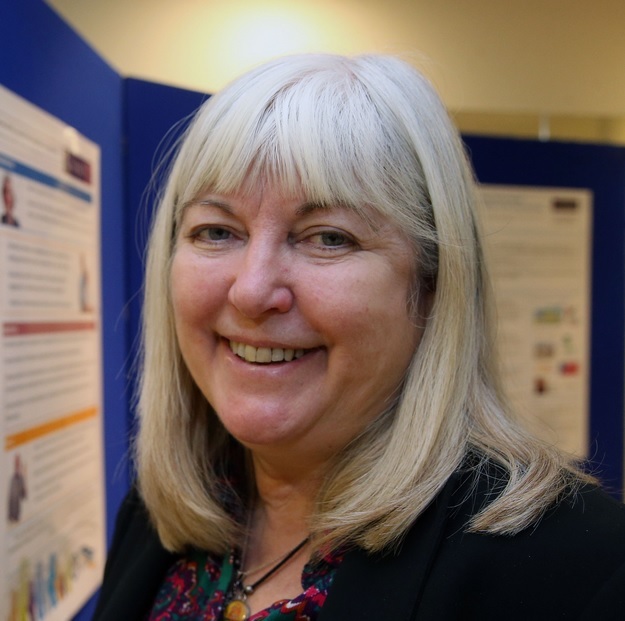 Professor Sally Power is the Director of the Network of Experts on Social Aspects of Education and Training (NESET), the Director of Research at the Wales Institute of Social & Economic Research, Data & Methods (WISERD), and the Director of WISERD Education. She is also the Theme Lead for WISERD Civil Society Theme 4: Generation, Life Course and Social Participation. Her research interests focus on the relationship between education and inequality, and particularly social class differentiation, as well as the relative success and failure of education policies designed to promote greater equality of opportunity.